Today’s feast might make some of us a bit squirmy. The beautiful feast of Our Lady of Lourdes is often marked with meditations on the miraculous healing accomplished by Christ, particularly through the intercession of His kind mother in this place and under this title. That’s all well-and-good, but maybe you’ve been waiting for your own healing and find yourself . . . still waiting. I’ve experienced the kind of healing talked about in today’s Gospel. Through prayer and by the grace of God, I’ve been instantly healed of carpal tunnel, a shattered heart post-break up, and certain attachments to sin. I’ve watched my friend regain her sight, another walk away from crutches, and yet another released from decades-long anger toward her father. Jesus is still working powerful miracles today, and we should be so bold as to ask Him for them. But I’ve also realized that most of Jesus’ healing work is quieter. It’s slower and subtler. It might not look the way we expect. And this is where we can become discouraged. Do you feel like you’ve drawn the short straw when it comes to receiving God’s healing? Are you praying faithfully and taking the practical steps, all to witness everyone else around you overcome their illnesses of body and soul? Do you feel like you’re trying to push through the crowd to touch Jesus’ cloak but can’t quite get there? Sister, you don’t have to keep throwing elbows and hustling your way to the feet of the Savior; He already sees you. He already knows your needs and He sees your desire to be set free from whatever ails you. He desires the same. Even when your world feels like “a formless wasteland and darkness covered the abyss” (Genesis 1:2), the mighty Holy Spirit is sweeping over the waters of your life. Your invitation—your plea—for healing is not ignored. 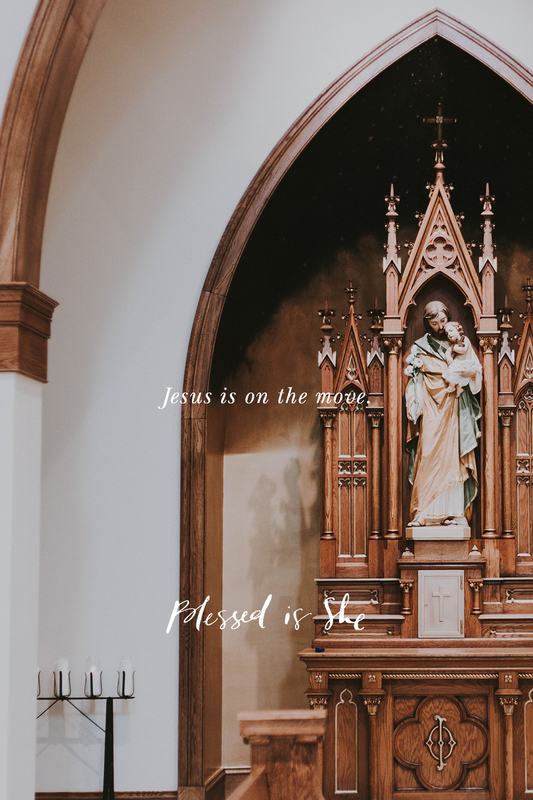 Jesus is on the move. He’s crossing oceans and curing every disease (see Mark 6:53-56) in your life, right now, and He does not grow weary of you or your need for healing. The Congregation for the Doctrine of the Faith has assembled an incredible document on instructions for prayers for healing. See the prayers here. We’re with you in that waiting, Regina! Praying for you. Wow I feel like this was written just for me. Thank you! Praise the Lord! I’m so grateful that it spoke to you. I can’t even begin to tell you how much I needed to read this today. It was like balm for my battered & weary soul. Jesus loves you so much, Teresa! I’m praying that you feel His comfort in tangible ways today. Thank you for this beautiful reflection. You have no idea how much I need these words in my life right now. Thank you, Jesus! You are precious to Him, Colleen! Love this reflection! Thank you! This is probably the best thing I’ve read all day. Thank you for the reminder!